Submit the form on the contact page, or reach out using one of the methods below. The Select Program (CYCLONES) is under the guidance and curriculum of our full-time Director of Soccer Operations and consists of Professional and Parent Coaches, as well as Professional Trainers all Licensed by the United States Soccer Federation or the National Soccer Coaches Association of America. The CCSA has 29 Select Teams, 16 boys and 13 girls teams. Players younger than U8 are not permitted to tryout for a SELECT team. Players are selected through an open tryout. Try-outs are held in late April and early May. 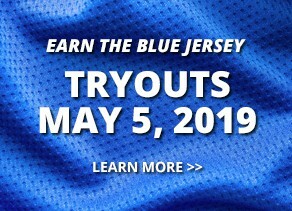 Click here for 2019 tryout information! The fees for the Select Program are set by the Board of Directors each year. This fee includes training, registration and league fees, and other direct and administrative costs. By accepting a position offered on a CCSA Select team, you accept the obligation for all financial commitments as required by the Select Program of CCSA If necessary, financial assistance is available, by application only. 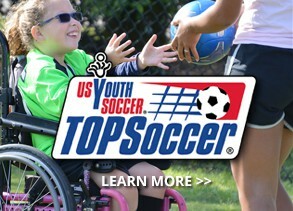 Players registering for the Select Program are committing for the seasonal year according to FYSA rules and bylaws. Select teams will train two times per week at the Pelican Soccer Complex. Exact days and times of practice will be determined by the Club and Coach. Your Coach will notify you with this information as soon as it is available. Trainers and Coaches have been selected for each team. See coaches tab above. Each coach was selected by the Director of Coaching, with approval from the Board of Directors. Additional information to be provided for the 2019/2020 season. Teams will participate in one of the following depending on team ability: SWFL, SFU, FLUGSA, USA, FSPL, FSL, SRPL-E, US Club or FYSA State Cup League. Some league play may require an overnight stay. Select Program teams can expect to attend tournaments over the course of the year; some take place over holiday weekends. Requests for tournament play for each team will be submitted by each team’s head coach to the Director of Coaching for approval. Also, Select teams are expected to enter into State Cup or Regional Cup tournaments in the spring season that cover multiple weekends. The determination of attending these events will be made by the head coach and MUST be approved by the Director of Coaching. Once agreed upon, all players are required to participate in tournament play. Parents / Guardians of players participating in tournaments or matches where an overnight stay is necessary shall make reasonable arrangements for their children concerning travel, meals, accommodations, chaperoning/supervision and all other requirements necessary for the care and safeguarding of their children. Players shall NOT stay overnight in the same room with any coach unless the coach is the player’s parent. If parents cannot attend an out-of-town match/tournament, they must arrange for the parents of another player, or another suitable adult who is NOT a coach at CCSA, to supervise and chaperone their child. Travel expenses associated with Tournament play are the responsibility of each player’s family. In addition to the registration fee, please be aware that additional costs may be incurred due to out-of-town games/tournament play, including, but not limited to, transportation costs, lodging, and meals. 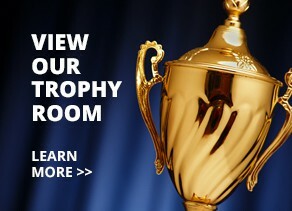 Each Select Program team will pay a portion of the registration fee for the Regional Cup or State Cup tournament. The determination of these events will be made by the team’s head coach and the Director of Soccer Operations. Each team will have a parent team manager, appointed by the team coach, who handles all administrative duties of the team. Each team manager working collaboratively with the coach will provide information about the team, the team budget, its accomplishments, individual player accomplishments, travel arrangements, travel paperwork, and all other administrative needs of the team. The team manager should enlist the help of other parents on the team to accomplish this task. Please do not coach your child during the game. Everyone had an opportunity to volunteer as a coach. During the game you can cheer for your team and child, but do not coach. Do not approach you coach to complain, during or after the game or practice. 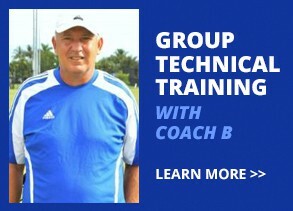 If you have a problem with your coach, send an email to Eddie Carmean at doc@capecoralsoccer.com. Keep in mind they are volunteers. Do not stand behind the goals or anywhere near the goals during the games. No smoking on the field. You must go to the parking lot if you want to smoke. All players must wear shin guards for games and practices. No hard cast permitted for practice or games. No jewelry worn for practice or games. Stud earrings must be taped up. All other earrings are not allowed. Keep an eye on your kids while they are at the playground. This is a public park and we cannot control what type of people may be there. Make sure tents are a safe distance from the sidelines. No hanging on the goals or nets. Every year in the USA many children are killed by hanging on goals. As they swing on the goal the goal topples over and the cross bar crushes their windpipe or skull. Please help us enforce these rules with your children. No climbing trees or fences. During the games one sideline is for the players and the coaches and the other is for the parents. Please do not sit on the Player/Coaches side of the field. *(Except for U6 players) U6 players can sit with their parents while waiting to play. If there is a problem at your field go to the concession stand and ask for a field Marshal or board member. Where do the registration fees go? Copyright © 2019 Cape Coral Soccer Association. All Rights Reserved.